There has been a lot of back and forth from social media experts on how to use hashtags and how many to use. Here we will sift through the advice and get to what may work best for your pizzeria. First, what is a hashtag? Used on social media sites (born with Twitter but now common on every social media site), it is a word or phrase preceding a hash or pound sign # to categorize or identify a topic or concept. Even Twitter didn't mean to use Hashtags at first as the idea was rejected after the founder initially drew up the idea. But someone started a hashtag when a major fire hit San Diego and people flocked to find the news. The hashtag was born and a new way of joining a conversation was born. Read more of the hashtag beginner guide by Mashable here to learn the history of the hashtag and why you should use it. How do you pick what hashtags to use? It depends. Is the hashtag being used to help you categorize your own content? If so, come up with something that fits your brand. But don't forget, using a hashtag already commonly used also lets you jump into the conversation. #pizza is one of the biggest hashtags used on Twitter, so why not also amplify your message with those already talking about pizza? 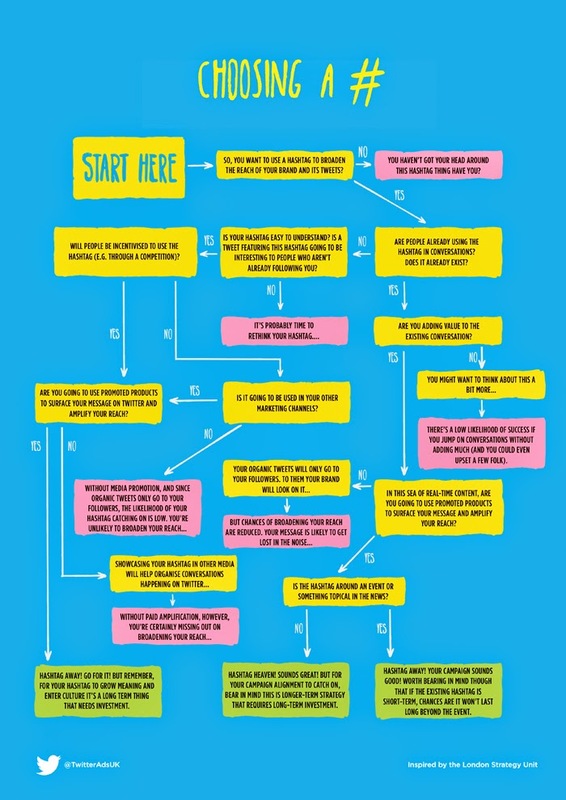 The folks over at Twitter have made a great infographic that shows you the thought process of choosing the right hashtag. But since every social media outlet is different, also check out the advice on using hashtags for Instagram over at SocialMediaExaminer. Also, if you are not using hashtags on Facebook, you should. Keep the message consistent across platforms and easier to find using the hashtags you are already using on Twitter, Google+ and Instagram. How many hashtags should I use and how should I use them? 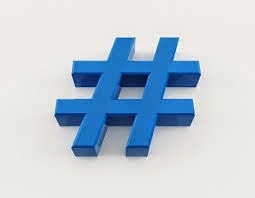 Over at howtohashtag.com, there are some simple rules on how to use hashtags, which are often ignored. 1. Don't overuse. Never use more than two hashtags or you will appear to be a spammer. The number of hashtags is debated by many social media experts but more and more research is showing that less is more. 3. Define your tag on http://tagdef.com/ so that when people are looking for hashtags and how they are used, yours is defined. For example, #pmqpizzamag is defined as "The PMQ Pizza Magazine hashtag for all pizza news."